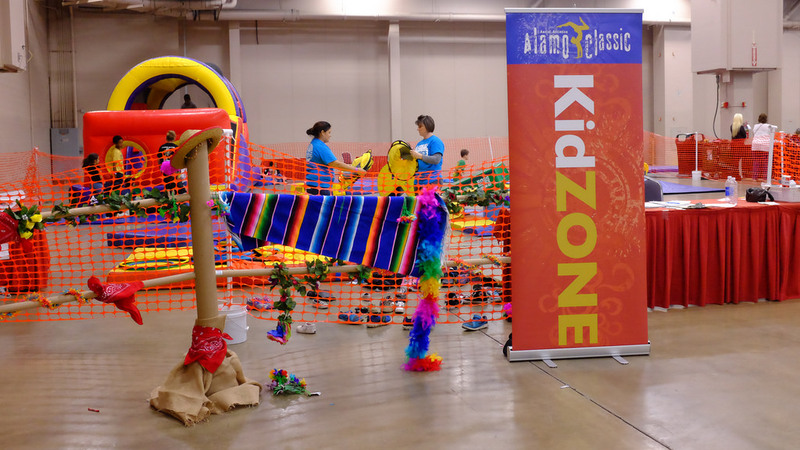 We are pleased to again offer drop-in child care at our KidZone during all sessions. 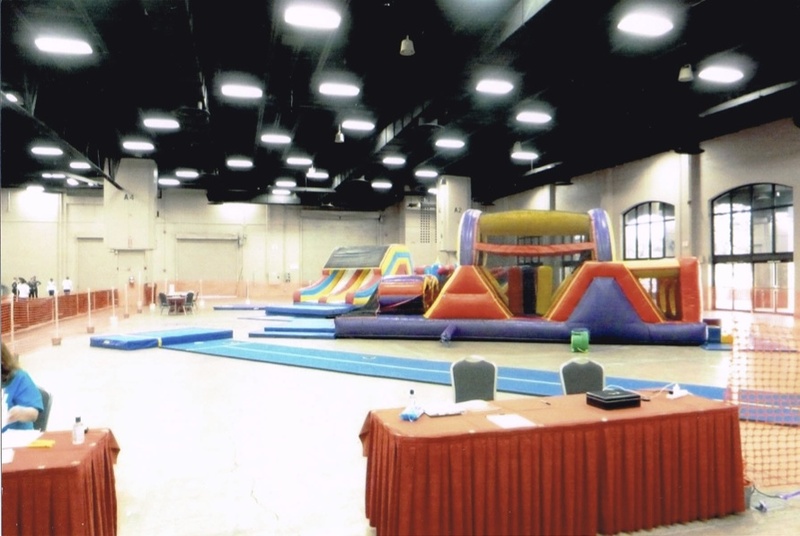 Ages 4 (fully potty trained) through 12 years are welcome to play in our bounce houses, do arts and crafts, or just hang out with our teen helpers, all with plenty of adult supervision within the competition arena. What a low-stress way to enjoy your gymnast’s competition!